How lucky are we??? 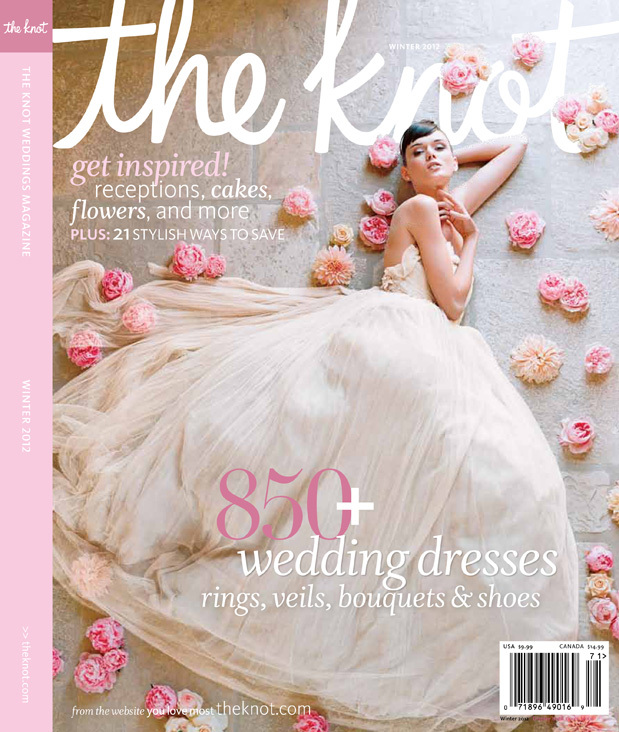 Lady Grey is the first to share the cover of the latest issue of The Knot magazine shot by Elizabeth Messina at The Villa at Sunstone Winery. We’re also so honored to divulge a few exclusive images from the shoot, as well as quotes from Dolce Designs Studio and Editor in Chief, Carly Roney! We absolutely adore this team and are obsessed (obviously) with Elizabeth’s work! I scored a pre-release copy at The Knot party in New York and I poured over the entire issue on the flight home. There is so much great content in this new issue, so most definitely get your darling selves a copy. We’re honored to once again have Elizabeth Messina’s creative vision come to life for our Winter cover and fashion story. 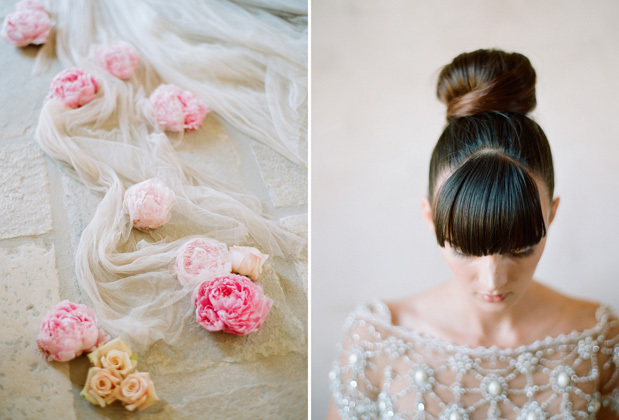 Through her unique vision and beautiful shoots, she continues to create gorgeous work. Take a sneak peek at some of our favorites and check out the whole story on The Knot 2012 Winter issue—on newsstands now. Elizabeth Messina has photographed both our villa and vineyard estate like no other photographer ever has. She captures a rawness that is unnoticed by the regular eye and turns it into pure elegance and beauty. Her creative and out of the box filter truly captures the natural beauty and glow unique to our property. 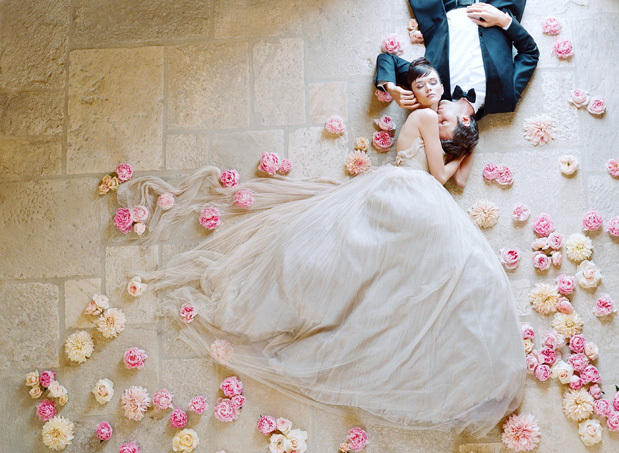 The cover of The Knot winter issue takes my breath away–a beautiful girl in fine fabric surrounded by romantic flowers laying on our raw stone floor00what a mix of beauty! One of the things Elizabeth Messina told us about this shoot was that it was shot entirely with natural light, all on film! If you’ve ever shot a cover feature before, you’d know that editors want to see their images in digital format as they are shot to guarantee a perfect image. We really think the huge risk of using natural light and film paid off! I want to hang the cover on my wall! Working with Elizabeth Messina is a creative experience of telling a story through visuals. 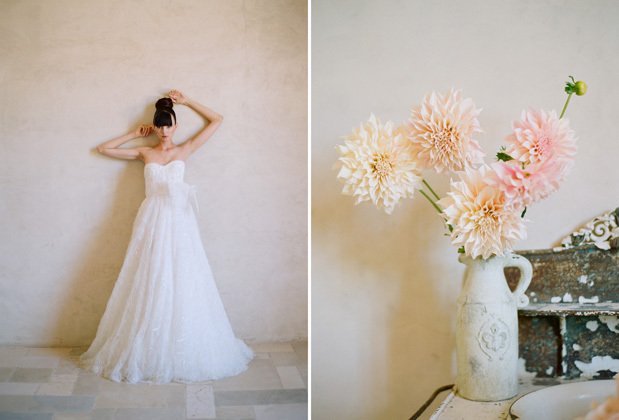 Her ability to capture the flowers freshness combined with the beauty of each venue is powerful. Elizabeth’s use of eclectic pieces of furniture and art also speak dramatically through each shot. 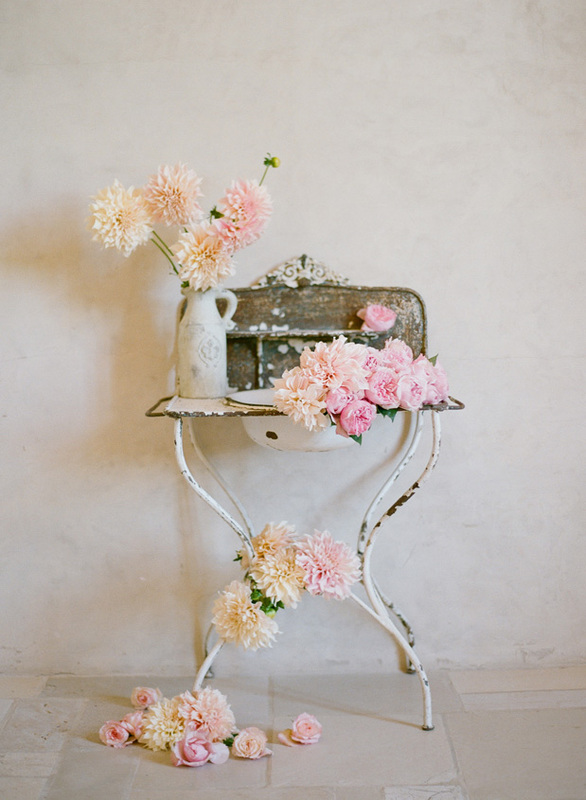 A favorite for us with Elizabeth is how she takes the simplicity of our blooms – dalhias, garden rose, peonies and ranunculus – in singular form and creates an intensely romantic scene. The blooms sometimes look as though they’ll pop off the page any second! Sooooo beautiful!!! Omg!! I love it!! Simply STUNNING! We can't wait to pick up the new issue. Gorgeous! 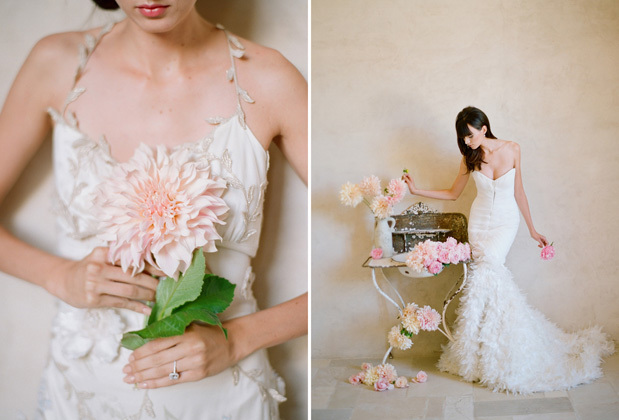 this shoot is incredible... so simplistic but so detailed at the same time. amazing work!! Incredibly beautiful! Love the last shot!! More than perfect... .elizabeth is brilliant!!!! Oh my god!!!!! 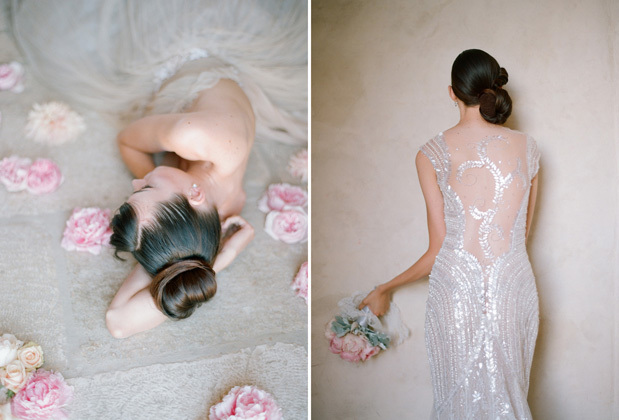 These dresses are sooooo beautiful! Photos are awesome!!!!!!! 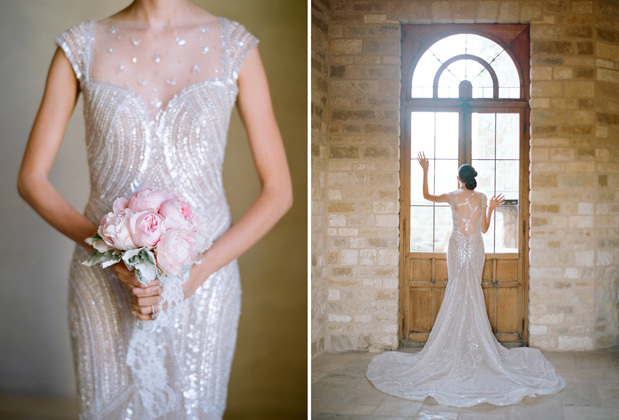 who is the designer of the sequin mermaid gown? 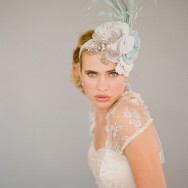 I need that veil! Who makes it/where can I find buying details? I love the wedding gown so much. Where are those bridesmaid dresses from? They are stunning! 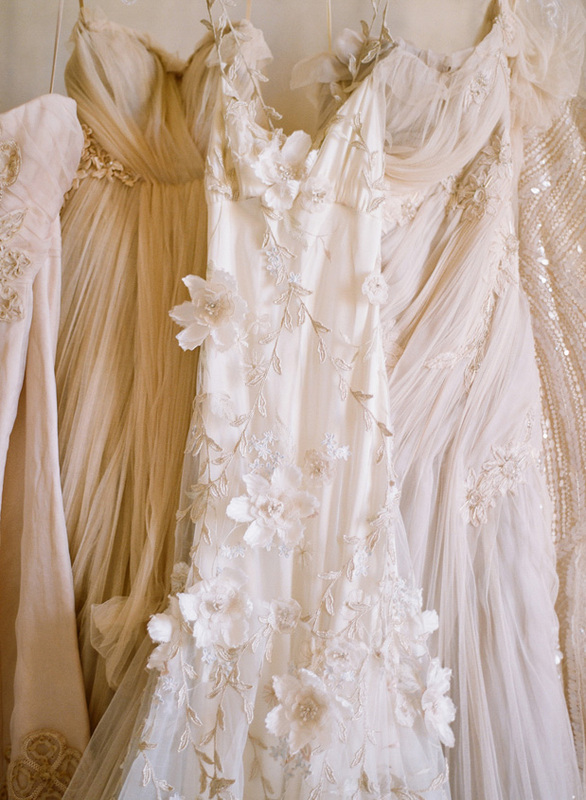 the wedding dress is very elegant and nice. thanks for sharing it. What type of wedding, retro style it?